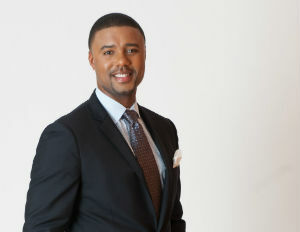 Mandell Smith initially thought he was going to work in the events industry after going to the University of Miami and being immersed in the New York City nightlife scene as a young adult. In 2005, Smith created MJGS Enterprises, which was a vehicle to network with young professionals, promote and plan events, and provide consulting services for top tier venues. But aside from his dreams in the event business, Smith had a career in his sights and that was in the insurance industry. While building MJGS, Mandell obtained a M.B.A., with a concentration in general management and entrepreneurship from Dowling College. His experience in claims and marketing, as well as exposure to his father’s successful insurance and financial services business of over 20 years, led Mandell to begin a new business venture as an insurance agent in February 2008. Since then, he has successfully run a full-time agency serving clients throughout New York State. Here he offers 5 tips for anyone interested in becoming an insurance professional. 1. Make sure you are people oriented. Having people skills is a great quality to have when entering this field, you will deal with both internal and external relationships so putting the client first is key. 2. Have a strong sense of good customer service. You will have to treat your customers how you would like to be treated when either purchasing a product and/or service. Think of the great companies you patronize and why you keep returning to them to buy their products and employ similar tactics. 3. Personality and character are some great qualities to have when entering this business. Being able to relate to people as well as listen actively before speaking along with being empathic goes a long way. 4. Be a reliable source of information. Having knowledge of the insurance business is how you win your business. Although you don’t have to be in insurance to enter field, it would be a great strength to learn the core basics because of the jargon, rules and regulations that are involved in the business. You want your customers to feel confident they can rely on your expertise. 5. Being technologically savvy also helps, because it will assist you with being able to get things done efficiently. The customer continues to evolve and change. There is more information readily available and more access points to connect, so having the tech edge will allow you to stand out over your competition.